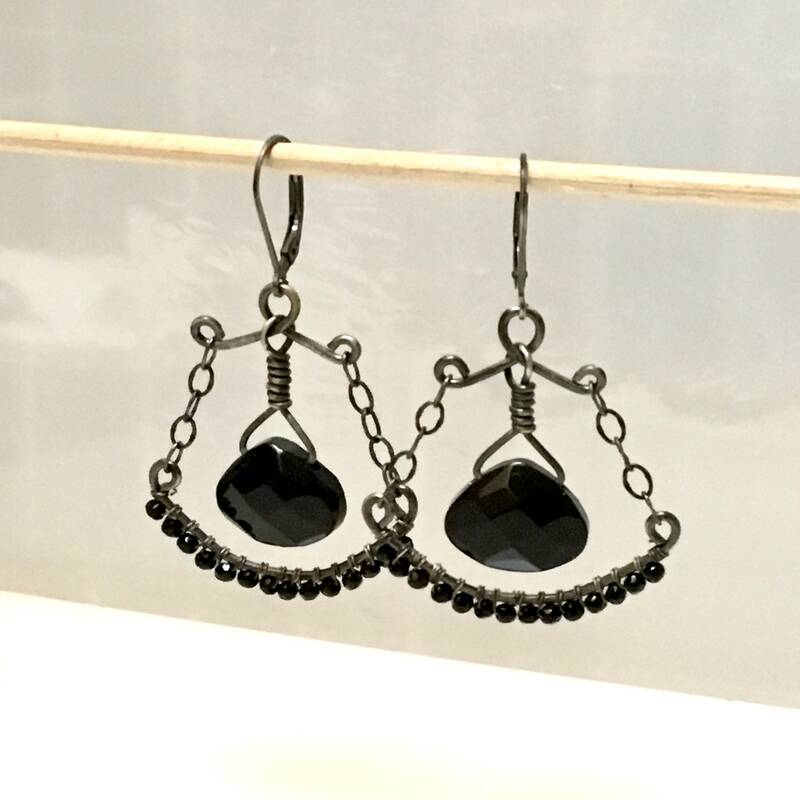 Chandelier earrings with Czech black glass and oxidized sterling silver. 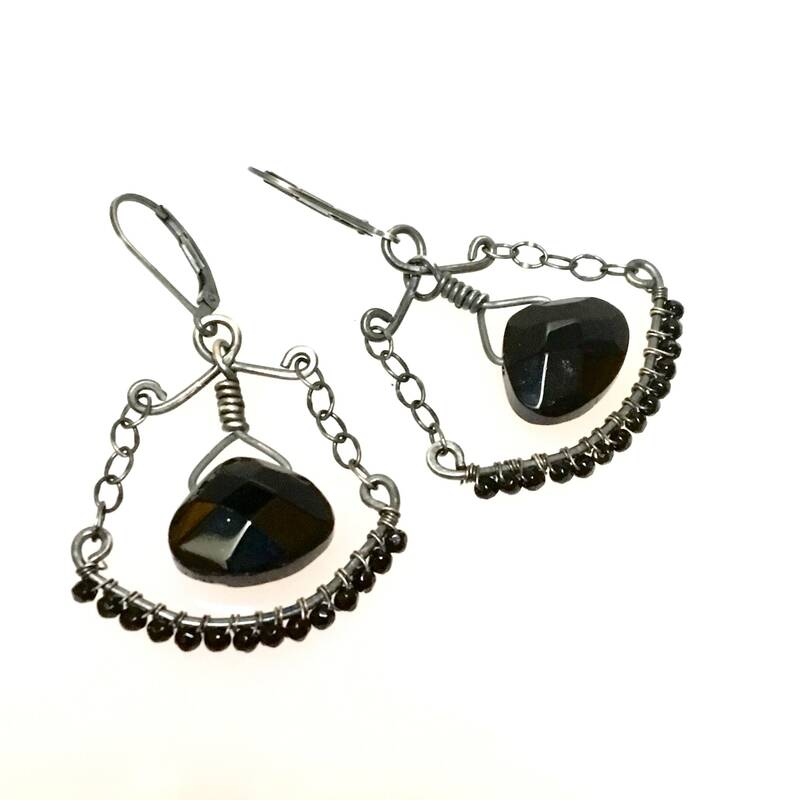 Dark beaded dangles are ornate, feminine hippie earrings. Artisan originals by WillOaks Studio. 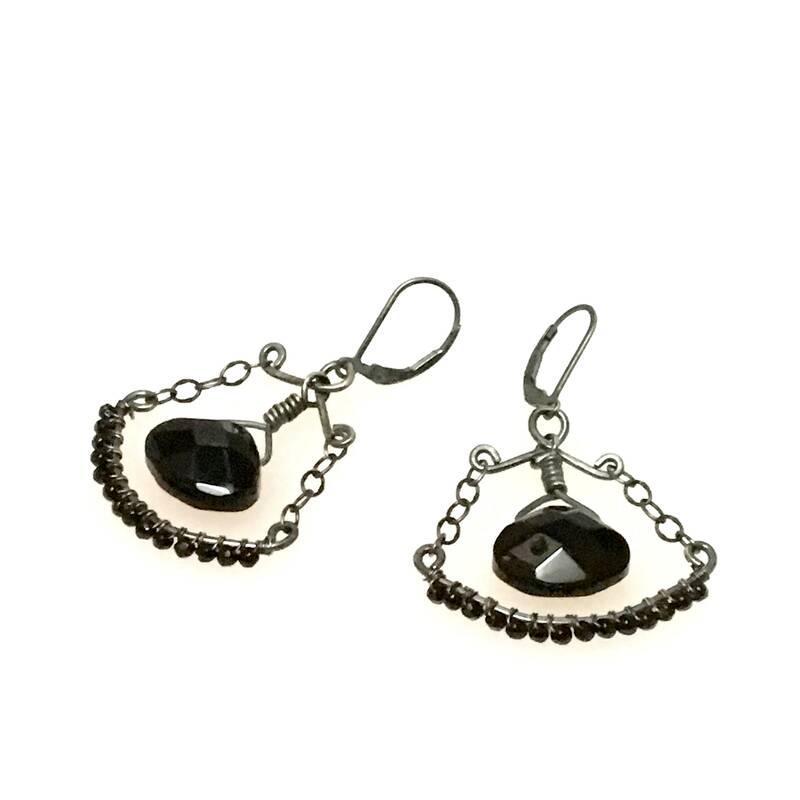 I love old style "hippie earrings” and so this inspired my newest beaded hoop designs with a feminine, ornate design. 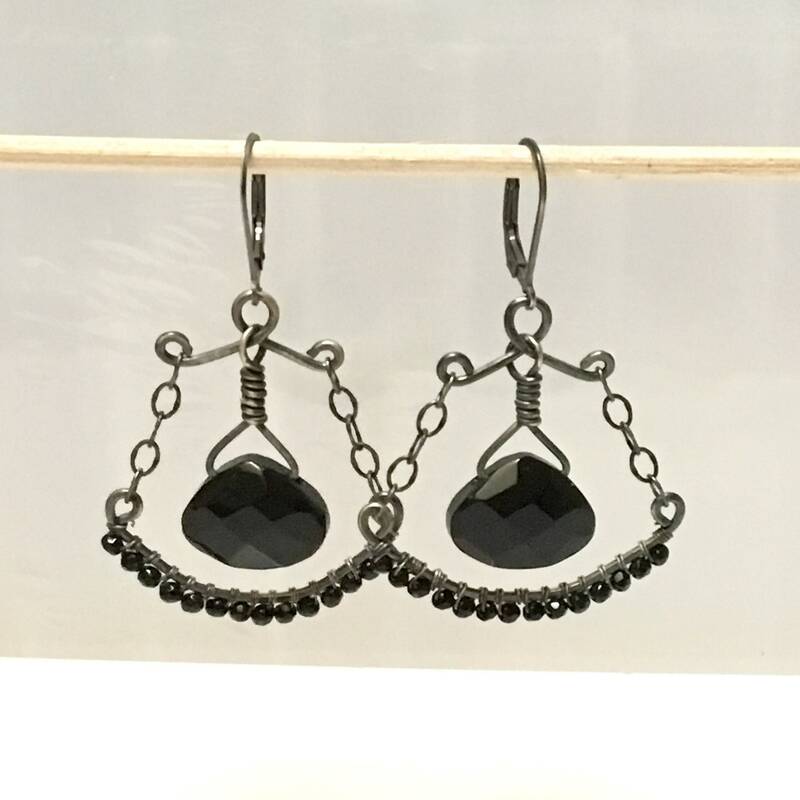 Earrings dangle about 1 7/8” measured from the top of the ear wire. The widest part of the design is about 1 1/4”. 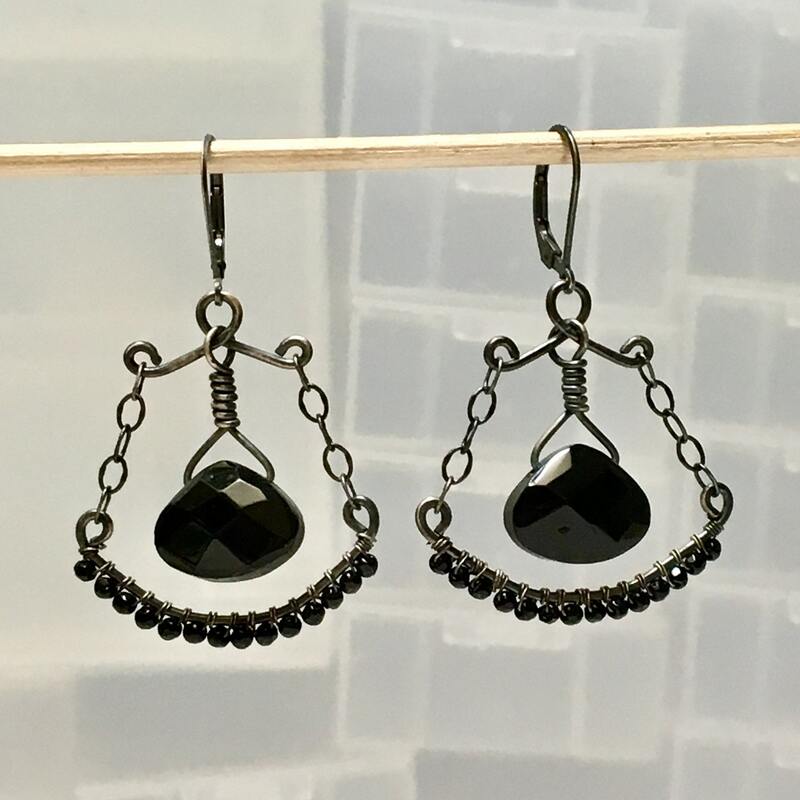 These earrings are ready to mail, and will be enjoyed for years to come.